The parish was in the Wragby sub-district of the Horncastle Registration District. 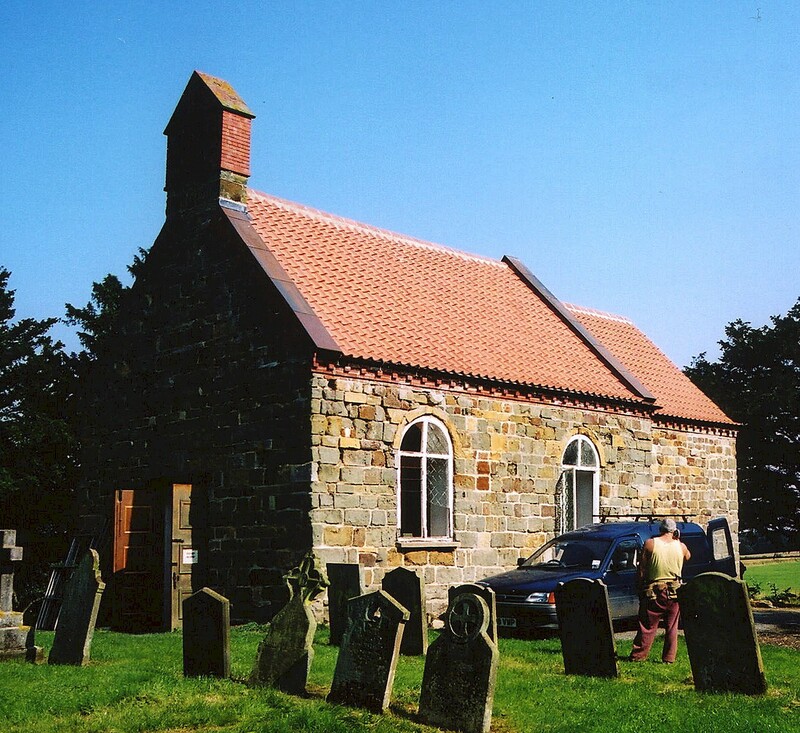 You can also perform a more selective search for churches in the Panton area or see them printed on a map. The church is a small building of stone. The church seats about 80. The interior of the church was restored in 1904. The Diocese of Lincoln declared this church redundant in March, 1974. In February of 1982 they began using it for storage. The Anglican parish register dates from 1736. Panton (Panton by Wragby) is both a village and a parish in the Wold Hills, 3 miles east of Wragby and 10 miles north-west of Horncastle. Sotby parish lies to the east and Hatton parish to the south. The parish covers 2,018 acres. By automobile, take the A158 trunk road northwest out of Horncastle, past Baumber and turn north at the signs for Hatton. Pass through Hatton and proceed about 2 miles to Panton. Ask for a calculation of the distance from Panton to another place. You can see the administrative areas in which Panton has been placed at times in the past. Select one to see a link to a map of that particular area. Panton Hall was the seat of Edmund TURNOR, lord of the manor in 1900. It was made of white brick and erected in 1719 - 1720. In 1775 the Hall was expanded as new wings were added and the landscaping was redone. Panton Hall was demolished in the 1960s. There is also a Panton House in the village. This place was an ancient parish of Lincolnshire and became a modern Civil Parish when those were established. As a result of the 1834 Poor Law Amendment Act, the parish became part of the Horncastle Poor Law Union on 16th January 1837. A small National School was built here before 1900 to hold 30 students.